Need to shoot in tight spaces? 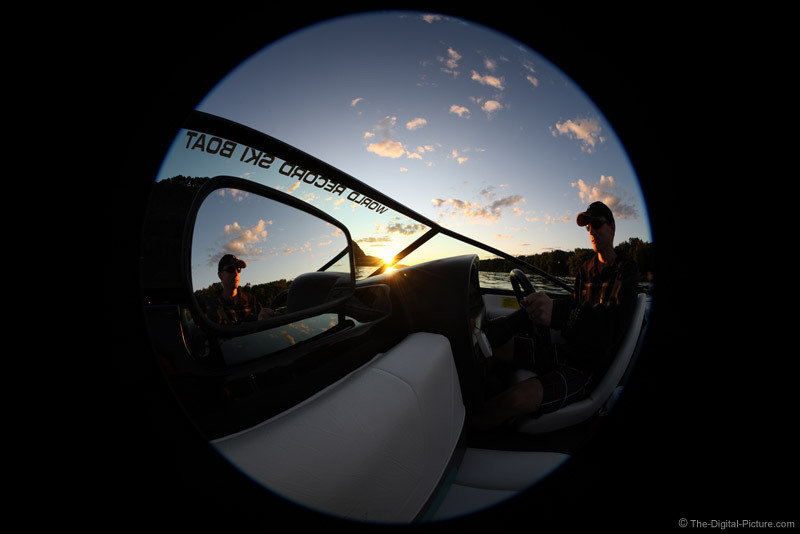 Try an 8mm fisheye lens. For this composition, I tried to align the sun near center and partially blocked, to include all of the windshield lettering, to include the driver and his reflection on the mirror balancing each other, the entire back edge of the driver's seat and some nice near-sunset clouds.